This entry was posted in Uncategorized on May 1, 2018 by loisremeikis. My mind and heart spaces. This entry was posted in Uncategorized and tagged Nature, sandhill cranes on April 17, 2018 by loisremeikis. This entry was posted in Uncategorized on March 29, 2018 by loisremeikis. This entry was posted in Uncategorized on March 26, 2018 by loisremeikis. Attached by crows, flies higher. This entry was posted in Uncategorized on March 22, 2018 by loisremeikis. This entry was posted in Nature, Uncategorized and tagged Cardinals, Winter, Wisconsin on February 7, 2018 by loisremeikis. 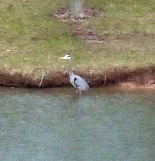 This entry was posted in Nature, Uncategorized and tagged ducks, Great Blue Heron, pond, spring, Spring (season), Water on April 19, 2013 by loisremeikis.